« Older: Editorial: A Fitness Plan for La Isla? 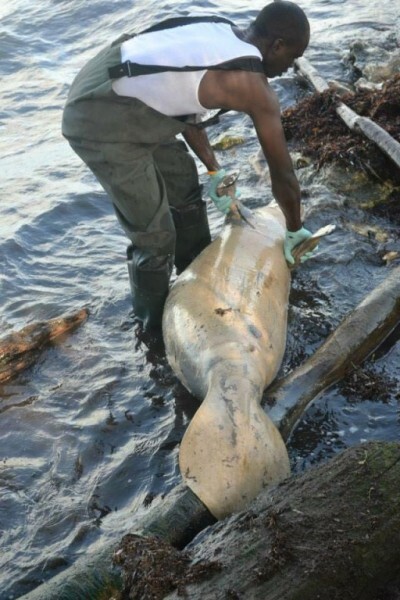 34 manatees were found dead in 2014 in Belizean waters. Overwhelmingly, 65% of the deaths registered were caused by boats. Commonly known as the “sea cow”, the Antillean manatee can be found across Belize in rivers, lagoons, estuaries and most coastal area. According to the International Union for Conservation of Nature, the Antillean manatee is listed as Endangered because the current population is estimated at less than 2,500 mature individuals. According to Janelle Chanona, Vice-president of Oceana in Belize, death by propeller is threatening the population of manatees in Belize. Irresponsible boat captains are not respecting the ‘No Wake Zone’ regulations which at many times lead to the injury of manatees. “We always talk about the importance of protecting the manatees. Not only are they a significant part of our environment, but they also have an economic importance. Tourists pay money to see these creatures in the wild. But if this threat continues, we may no longer have any manatees left in our waters. 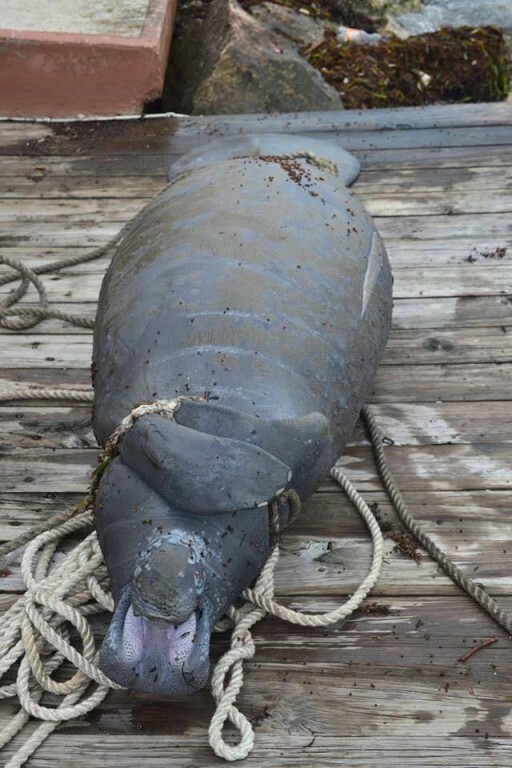 In the last seven days, two manatees have suffered the same terrible fate: death by propeller. Support efforts on the water can help curb this disturbing trend. Respect no-wake zones and minimize speed in high traffic areas,” said Chanona. Chanona stated that the majority of casualties happened in the Belize District limits within highly trafficked areas. While Oceana continues to promote conservation efforts, more needs to be done in order to protect the species. Chanona has stated that a proposal is being made to boaters to implement cage guards on their propellers. 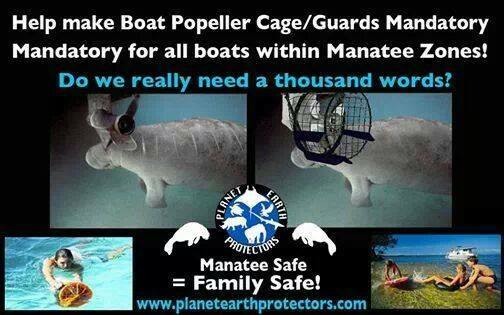 “Propeller cage guards have been implement in coastal regions like Miami, Florida to prevent injuries to marine life. The concept is that a cage is placed around the propeller so that if a manatee or other marine mammal comes in contact with it, it would touch the cage instead of the propeller blades. This would prevent wounding that leads to death. Propeller blades cause deep cuts that are fatal most of the time. If boaters in Belize would start using propeller cage guards, this would reduce the stress on the manatee population significantly,” said Chanona. The other 35% of the deaths are mostly inconclusive, but Oceana believes that the use of gill nets and water pollution are contributors. “Oceana is carrying out a campaign to eliminate the use of gill nets. Gill nets do not discriminate which animals are caught and killed, so they are a threat to the entire marine ecosystem. Manatees are among those animals that are caught in gill nets, and they drown to death,” said Chanona. Oceana encourages everyone to join in the fight in protecting manatees. Respect no-wake zones, drive carefully in areas know to be manatee habitats, do not use gill nets and overall, protect and conserve Belizean waters. To report a manatee injury, death or sighting, contact Oceana in Belize at 822-2792 or 0-800-MANATEE (0-800-626-2833). To learn more on propeller cage guards visit www.propellersafety.com. May 23, 2013 is World Turtle Day!